The new strategy will tackle the growing challenges artists face in sustaining their careers, with a fundamental aim of ensuring policy makers and commissioners value the artist as well as the art. On behalf of its 21,000 visual artist members, a-n has launched a five-year strategy to tackle the growing challenges they face in sustaining their careers as they contribute to the UK’s £1.9bn visual arts success. The Valuing Artists strategy was developed with input from a-n’s members and AIR Council. The strategy has a fundamental aim of ensuring policy makers and commissioners value the artist as well as the art. A Brexit that works for visual artists in the UK, focusing on freedom of movement, residency and rights and, beyond 2019, will continue to promote the rights of artists as they are affected by our withdrawal from the EU by exploring solutions to the issues our members face. More sustainable livelihoods for visual artists by building on a-n’s core advocacy work to make the case for fair payment of artists; to understand and articulate the wider range of issues which impact on artists’ livelihoods and the nature of their practice today; and promote credible solutions to these issues to government. Greater diversity in the visual arts sector by using a-n’s unique position as the largest grassroots visual arts membership organisation in the UK to deliver valuable, nuanced intelligence around the scale and impact of diversity as it is reflected in artist-led practice today, while promoting greater diversity at all levels of the sector. a-n Director Jeanie Scott said: “As a sector, the visual arts make a significant contribution to our economy and our international reputation. However, as a nation we do not place the same value on the artists that create the work and reputation we cherish. The majority of artists still earn less than £10k a year, are self-employed, juggling part-time, low-paid jobs to support themselves in what is a largely unregulated and complex marketplace. Shifts in tax credit regulation, the continued reduction in the budgets of traditional employers (local authority and educational cuts in particular) and rising materials, studio and living costs, are already hitting artists hard. Uncertainty over Brexit is a major issue and impacts on the already precarious livings of artists. a-n artist members are especially vulnerable to political and economic change: 70% of them are female, 20% are non-white British, 15% are disabled, 80% are earning less than 10k, 12% hold a non-UK passport, and 50% are over 50 and have no pensions. The strategy will be delivered by a-n in collaboration with its artist advisory group (AIR Council), DHA Communications, a-n members and key partners. It will put the voices and concerns of artists at its heart and equip them to play a key role in influencing and informing emerging arts and cultural policy over the next five years. a-n will also partner with a variety of membership organisations to build the case for change on shared issues. 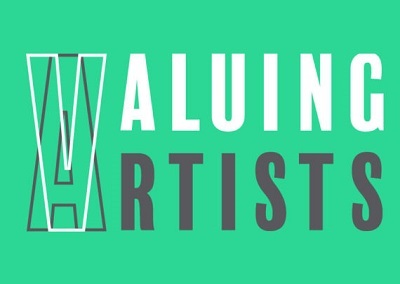 This week sees the launch of the first Valuing Artists project and partnership, with a-n working alongside the Incorporated Society of Musicians to highlight key Brexit issues impacting on self-employed artists. The core members of a-n’s new Paying Artists Working Group will be announced over the summer and a research and advocacy partnership with Visual Artists Ireland around social security for artists will be announced in the autumn, followed by details of further campaigns and projects into 2018.